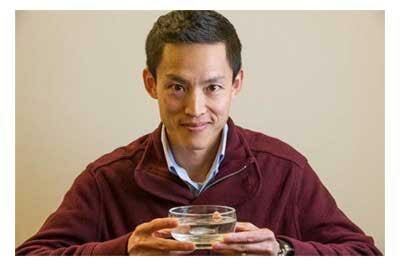 Scientists at the MDI Biological Laboratory and Novo Biosciences have identified a drug candidate to restore heart muscle function following a heart attack. Their research on the role of MSI-1436 in regenerating heart muscle tissue in zebrafish and mice was described in a paper in the peer-reviewed journal, npj Regenerative Medicine. Cardiovascular disease is the world’s leading killer, taking the lives of 17.5 million people annually, according to the World Health Organization, and disabling millions more. Currently, no drug exists to restore heart muscle function after a heart attack. The institution is seeking to move the drug into human clinical trials through a spinoff company, Novo Biosciences. The next step is to test the drug in pigs, the animal whose heart most closely resembles that of humans. The drug has two advantages that are expected to smooth the path to the clinic. First, MSI-1436 stimulates tissue regeneration in zebrafish and mice, which are separated by approximately 450 million years of evolution. This increases the likelihood it will work in humans too. Second, it has already been shown to be well tolerated by patients in Phase 1 and 1b clinical trials for an unrelated indication. The maximum well-tolerated human dose is 5 to 50 times higher than the dose shown to be effective in stimulating heart repair in zebrafish and mice. Strange is also the CEO and co-founder of Novo Biosciences and the co-inventor of MSI-1436, along with Yin and collaborator Michael A. Zasloff, M.D., Ph.D. Yin is the co-founder and chief scientific officer of Novo Biosciences. The scientists have been issued a patent on the use MSI-1436 for the treatment of heart disease. The original research on MSI-1436 was conducted by Yin in zebrafish, an organism that can regenerate the form and function of almost any body part. He found that the administration of MSI-1436 increased appendage regeneration by 200 to 300 percent. Follow-up research showed that MSI-1436 also stimulated zebrafish heart regeneration to the same degree. “That was definitely a ‘Eureka!’ moment,” Yin said of the day in the laboratory when the appendage study was conducted. He was so astonished by the results that he repeated the study several times and under different conditions. Yin followed the studies in zebrafish with studies in adult mice, which, like humans, have a limited capacity for regeneration. The goal was to see if MSI-1436 could stimulate regeneration in higher organisms. Though mammals such as mice and humans share the genetic pathways for regeneration with zebrafish, they have been largely deactivated for reasons that are still unclear. The results in mice, which are detailed in the paper, show that the administration of MSI-1436 24 hours after an artificially induced heart attack increased survival; improved heart function two- to three-fold; reduced the size of the infarct or scar tissue by 53 percent; reduced ventricular wall thinning; and stimulated heart muscle cell proliferation in the infarct border zone by six-fold. When a patient suffers a heart attack, part of the heart muscle dies and the associated scarring interferes with the heart’s ability to effectively pump blood. The authors believe MSI-1436 to be the first drug candidate that has been shown to reduce scarring and induce heart regeneration in an adult mammal. Strange and Yin view their MSI-1436 results as a validation of the MDI Biological Laboratory’s and Novo Biosciences’ unique approach to regenerative medicine. Regenerative medicine has focused on complex stem cell, gene and tissue-engineering approaches for the last 15 years or more, but thus far these approaches have failed to deliver on their promise, despite the investment of hundreds of millions of dollars. By contrast, MDI Biological Laboratory and Novo Biosciences scientists are focused on decoding the instruction manual for repair and regeneration that has been conserved by evolution in human DNA for hundreds of millions of years. This approach has been very effective: in only a few years and at modest cost, they have identified three potential regenerative medicine drugs. MSI-1436 also has potential applications for the regeneration of skeletal muscle tissue in Duchenne muscular dystrophy, which is characterized by progressive muscle degeneration and untimely death due to heart and/or respiratory failure. Other potential applications include stimulation of wound healing and regeneration of multiple other tissues, including nervous tissue.